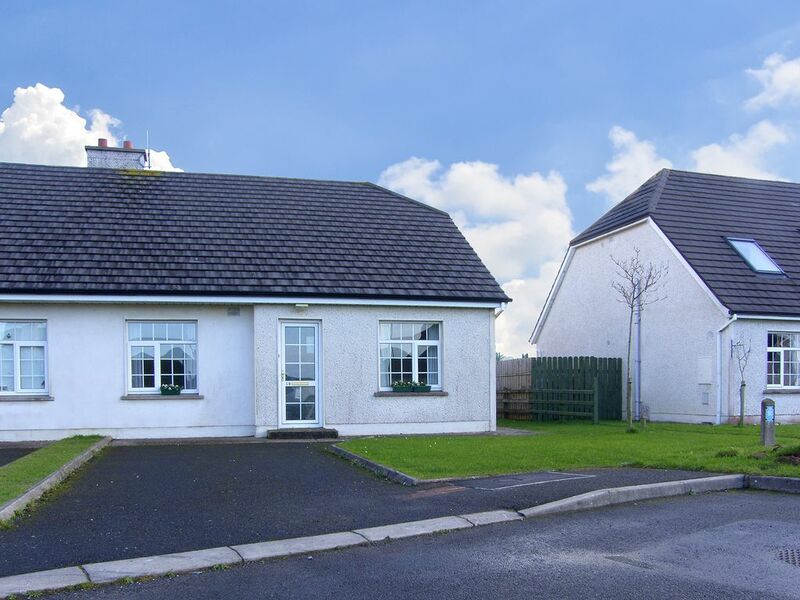 This delightful holiday home is in a quiet residential development in the heart of Bundoran town, within walking distance of all amenities. It enjoys a secure garden and an open fire. There is lots to do in this resort town with its sandy beach, 18 hole golf course, aqua dome and cinema. The local activity centre provides surf and kayak lessons, orienteering, hill walking, archery and canoeing, to name but a few. This is a great base for exploring the surrounding counties of Leitrim, Sligo and FermanaghPub. Restaurant. Beach 880 yards. GF: lounge, kitchen/diner, double with single, double with additional double, shower room.Electricity charged at EUR7 per day, open fire with starter pack, linen and towels included, travel cot, high chair, TV, dvd player, fridge with small ice box, microwave, w/machine, fully enclosed garden, garden furniture, off road parking. One pet welcome.